New Price! Great value under $200,000. Dont wait to see this condo! Location, Location, Location. 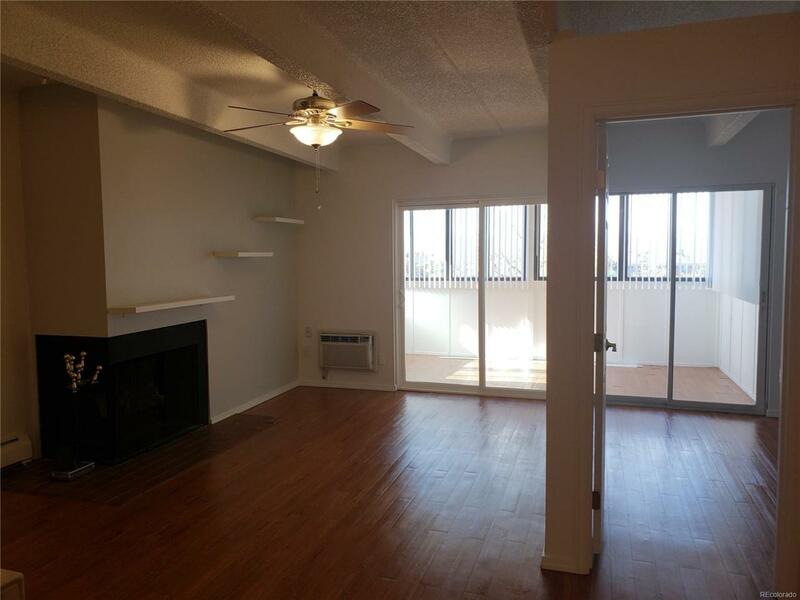 This sharp top floor unit is facing West and has a great view of the front range mountains and city lights. It is light and bright and features a master bedroom with walk-in closet and private bath and a second bedroom with sliding doors into the enclosed patio. All appliances stay. It is move in ready with fresh paint, new doors and baseboards. Enclosed Patio with new verticle blinds adds to the living space. One Reserved underground parking spot #24 is transfered with the sale. The unit also has an additional storage space #9 on the same floor near the unit and includes the use of club house and pool. It is Centrally located close to major thoroughfares and walking distance to shopping centers and restaurants. Great Location, Nice Unit, Easy to show. Offered by Ledoux - Garcia Realty.